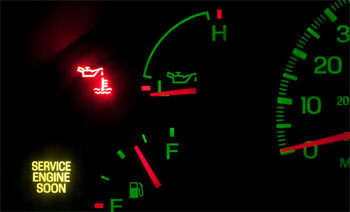 Check Engine Lights are an indication that vehicles computer system sees a issue that might cause the vehicle to not pass emissions or worse yet, may cause damage to the engine and other emissions related parts. If the check engine light comes on and it starts flashing, that means the problem can be detrimental to catalytic converters. If you stop driving the vehicle when you first see the flashing check engine light you may save yourself from expensive repairs. When you have that little light on feel free to stop in at Dana Brothers and let us diagnose the issue before it turns into something much bigger.